Pang was subsequently referred to a surgeon in a private hospital. 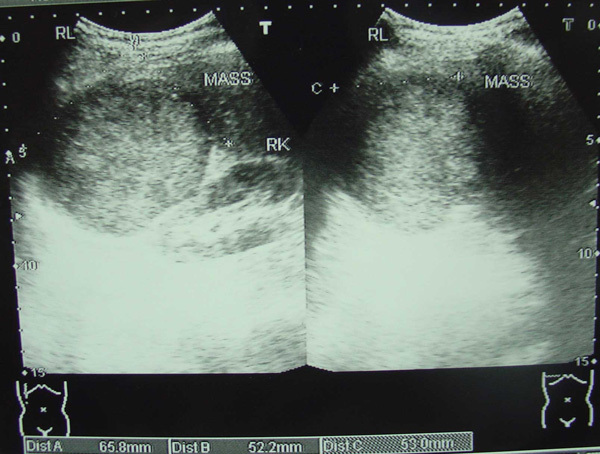 A CT scan confined right lobe hepatoma measuring 8 x 7 x 8 cm in segments 6 and 7. Pang underwent an operation to resect the tumour on 25 March 2008. This operation cost RM 20,000. Liver weighs 305 gm, measures 135 x 90 x 75 mm. External surface is irregular and nodular. 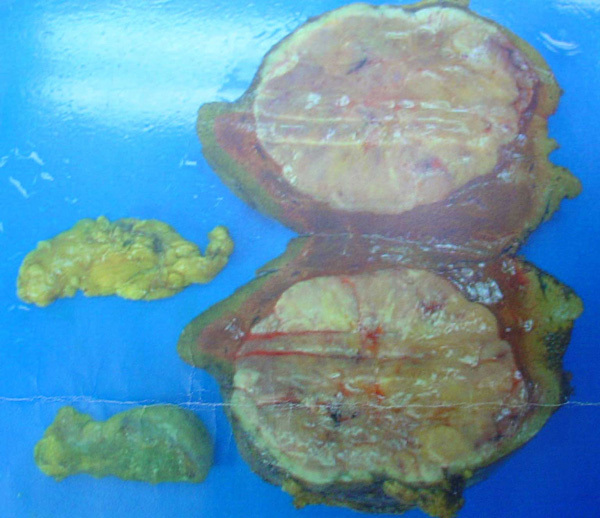 Liver nodule: well differentiated hepatocellular carcinoma, trabacular type, infiltrating the capsule of the liver, Stage III (T3NxMx). Pang was told that this surgery would remove the tumour but it would not cure him. He needed chemotherapy. Unfortunately, the doctor was not able to give him chemotherapy because he was unable to find the “blood vessel”. Barely five months later, in September 2008, Pang suffered a relapse. There were two new nodules in the remaining part of his liver. The surgeon was not able to perform any more surgery on him. He was instead asked to enroll in a clinical trial which is being carried out in the hospital. This treatment is known as PEI (percutaneous ethanol injection) and is provided free of charge. Pang underwent these treatments from September 2008 till February 2009 and received a total of 5 sessions. But the results were disappointing. A CT scan showed metastasis to the lungs. There were altogether 5 nodules in both the right and left lungs. They measured approximately 6 to 12 mm in diameter each. 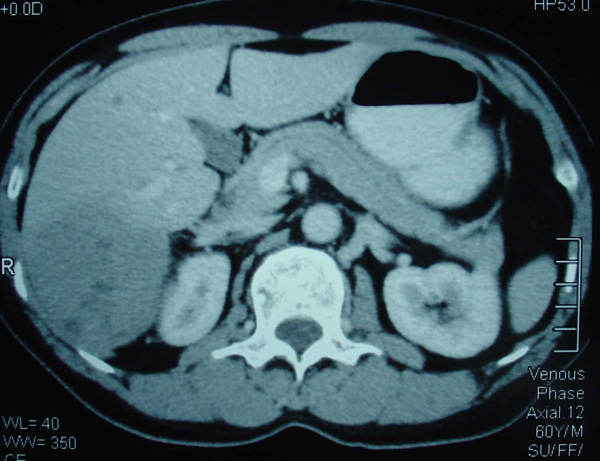 The CT scan also revealed 2 partially necrotic tumour in Segment 7/8 of the liver. They measured approximately 4.5 x 6 cm and 3.5 x 3.5 cm in diameter each. The blood test results on 20 February 2009 indicated ESR = 24 (high), alpha-fetoprotein = 14,986.29 (high). Pang: The (doctor) said he could not do anything for my lung. I went to the GH to ask for a second opinion. One young doctor in the lung department studied my report and said: Very sorry Uncle, you have six months to one year only. After that he sent me to the oncology department. The oncology doctor said, Do chemo. Chris: Of course you can do chemo. But whether you are alive or you die, that is a different matter. P: There are two ways. One is the chemo. Another way is to take medicine. If it is medicine, it is expensive. P: At Lam Wah Ee it cost RM20,000.00 Not two thousand, it is twenty thousand.C: RM20,000 per month? P: Yes, and the effectiveness is only 20 to 30% and it costs twenty thousand. If I sell my house, at most I can take the medicine for one year – with no hope and no guarantee.